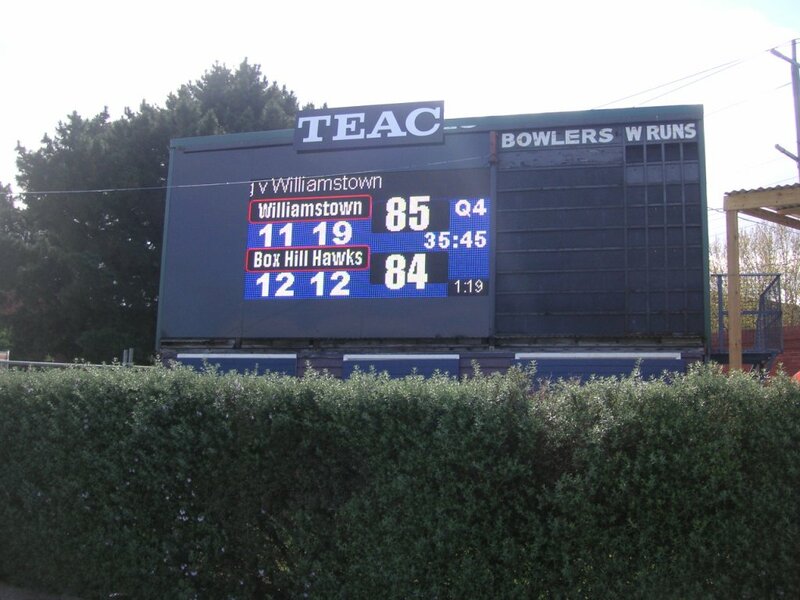 The Williamstown development team (the seconds/reserves) won the 2013 premiership in dramatic fashion on Saturday 14 September. Box Hill were six goals down ten minutes into the third quarter but sliced the margin to three goals by three-quarter time. The Hawks continued their charge in the last quarter and levelled the scores 26 minutes in. No siren sounded to formally mark the end of the fourth quarter but the ground announcer announced the start of ‘golden goal’ time. 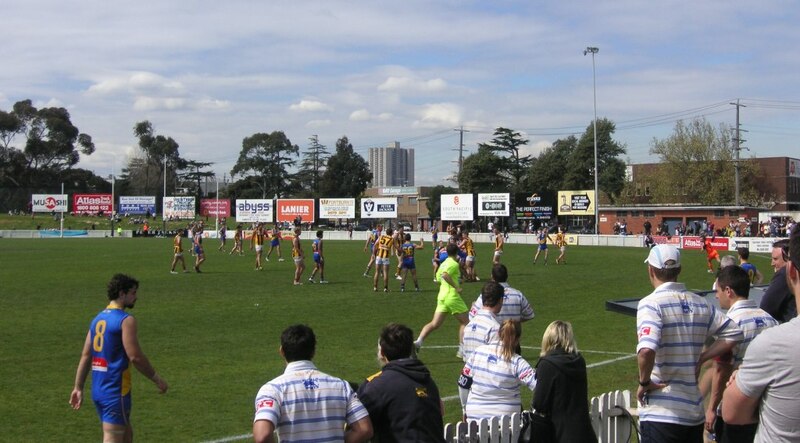 For seven frantic minutes the scores remained tied until an off-target kick into the Williamstown forward line was pushed through for the winning behind. The siren sounded immediately. In the photo above Williamstown Development captain Dylan Conway (8) is testing his newly-strapped right knee. He went back on the ground, kicked a goal and was soon after stretchered off the ground after collapsing at centre-half-forward. He accepted his premiership medallion on crutches, and is set for a knee-reconstruction.